Physical, chemical and emotional dysfunction can affect all areas of the body, holding you back from living optimally. Kinesiology is a system of care that addresses the emotional, nutritional and structural stresses common in everyday life, giving us a tool to support further healing. We may recommend kinesiology to support your chiropractic care, allowing us to more accurately diagnose the dysfunction of your body and restore the energy pathways that produce the body’s health and healing. Kinesiology is based on the idea that all parts of the body are connected by energy pathways known as meridians, which are affected by physical, chemical and emotional factors. Meridians, electromagnetic in nature, are subtle energy channels that travel through the body. They’re also known as Qi (chee) and provide the body with life energy, an essential blueprint for creation within the body. Diagnostically, kinesiology can be used to identify imbalances in the meridians, insufficiency in diet and nutrition or to determine the most effective form of treatment. Therapeutically, kinesiology addresses conditions that cause body imbalances or states of distress by balancing underlying blocks in your energy. This art of muscle testing is gentle, safe and effective for all ages. Are you low on energy? Held back by sickness? Feeling stress, or just want a bit more energy during the day? 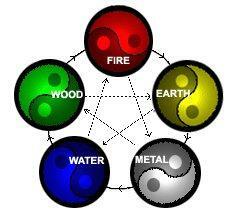 Touch for Health balance is a great way to regain energy and help your body to heal. When your body’s systems are in balance, you’ll find your physical and mental wellbeing are enhanced. Touch for Health has improved people’s stamina, function, posture and immunity. Identifying your desired outcome for each session is a vital part of kinesiology. Goal setting and creating a direction for your focus and desire is important in the Touch for Health process and creates more powerful, precise outcomes. Setting goals provides you with a place to focus your intention and attention with clarity, purpose and gratitude and enhances the healing process. Sometimes, goals can feel unattainable, as if roadblocks are thrown up that block your journey. With sabotage clearing, we can identify and release hidden beliefs, emotions and attitudes that undermine your development and progress. Diffuse emotional trauma and stress from past or future events with a simple technique. We activate the part of your brain that offers new solutions, outcomes and responses while desensitising stressful events. Improve whole body integration, enhance left and right brain function, improve coordination, balance, learning, information retention and comprehension with simple exercises and muscle testing. Children with learning difficulties, behavioural problems, dyslexia and ADD/ADHD may respond well to educational kinesiology with Brain Gym. We know that many factors affect your healing potential, such as the meridians of your body, energy system, diet, exercise, pollutants and chemicals and inherited traits from parents, as well as your emotional and mental state. The most important factor influencing your health, however, is your innate healing potential. Kinesiology removes the interference that prevents the expression of your innate potential, allowing your health and function to be restored. 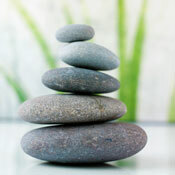 Discover our thorough approach to healing your mind and body and increase your quality of life. Book your time today!